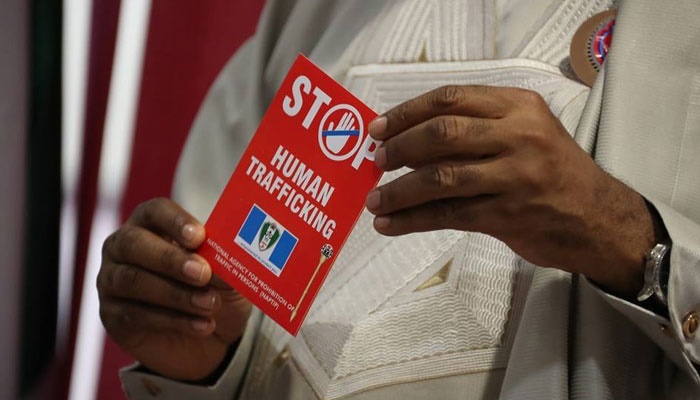 The Governor of Edo State, Godwin Obaseki has described human trafficking as "modern day slavery" and insisted that it is not acceptable in the state. Human trafficking is a "modern day slavery", and the administration of Governor Godwin Obaseki of Edo State wants to make sure it ends in his state and Nigeria. Edo State has a high number of indigenes who make the dangerous 50-50 journey through the desert and then to the Mediterranean Sea. But the governor said on Tuesday that his government would support any initiative that would curb such human trafficking. Obaseki, represented by his Deputy, Philip Shaibu, made the promise on Tuesday when he hosted the executives of the African Youth Commission at Government House, Benin. He said the way youths travel out of Nigeria to be used as slaves in their host countries was unacceptable. Obaseki described human trafficking as “modern day slavery” and said one of the goals of his administration was to build the capacity of youths to enable them to compete favourably with their counterparts across the world. “For us as a government, we believe we should reduce unemployment and also help to reduce illegal migration. “For us, human trafficking is not acceptable, that is why we are trying to gather not only national, but international support to check this menace,” he told the officials of the Youth Commission. Obaseki said the government was investing massively in technical vocation and skills acquisition to ensure that the younger generation are adequately empowered to provide for themselves. Earlier, the Secretary of the African Youth Commission, Dr Carl Oshodin, said the aim of the commission was to fight illegal migration. The motive, according to him, is to support government at all levels and make poverty history in Edo State. In the past three weeks, several Nigerians have died in the Mediterranean Sea while making efforts to enter Europe. Also, at least 26 female Nigerians who died in the sea were buried in Europe last week.